Event will bring record manufacturing industry together at the Vinyl World Congress in Brighton on 15-16 May. The first part of a series of international B2B conferences bringing the vinyl manufacturing industry together is to be held in Brighton on 15-16 May 2018 at the launch of Vinyl World Congress. Vinyl World Congress Japan will launch in Tokyo in October with a Latin American event in Brazil pencilled in for 2019. The UK music industry initiative comes as a response to the sustained spike in sales internationally, lead times and the growing "need to facilitate trade and co-operation within the industry". It takes place at the Hilton Brighton Metropol and is sponsored by the machine manufacturers Pheenix Alpha, Viryl Technologies, Newbilt Machinery, Dugdale and CAF who will be demonstrating their machines and products for prospective record labels, managers and investors who want to bring vinyl manufacturing in house or expand globally. 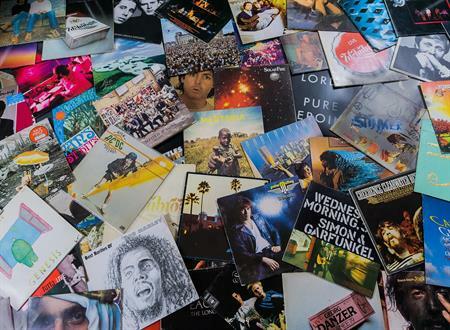 Event director Connolly Mellon said: "Demand for vinyl is higher than it's ever been with lead times between two and six months for some to get it manufactured. "Both ends of the spectrum (indie and major) have different concerns about the future but right now it's happy days for most manufacturers. We want to see more pressing plants in Asia, South America, Africa, BRIC and beyond, that is where the untapped potential is."